Hello, and welcome back to the series on How To Get Rich Blogging. We are slowly but surely covering all the bases to you having a profitable blog. We've discussed, clarity, target marketing, profits planning, email marketing, core products, and money multipliers. Now we're going to talk about a traffic strategy. Hi, and welcome back to the series on How To Get Rich Blogging. You must agree that this has been a phenomenal series! 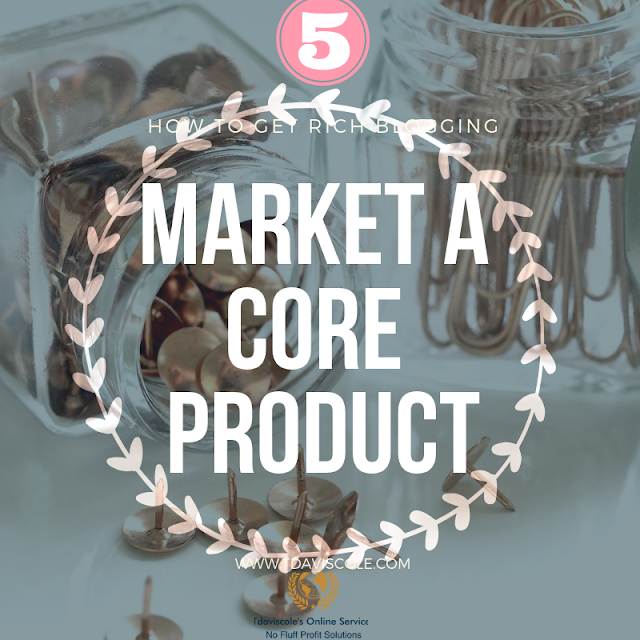 We've discussed clarity, target marketing, creating a profits plan, building an email list, and the importance of core products. 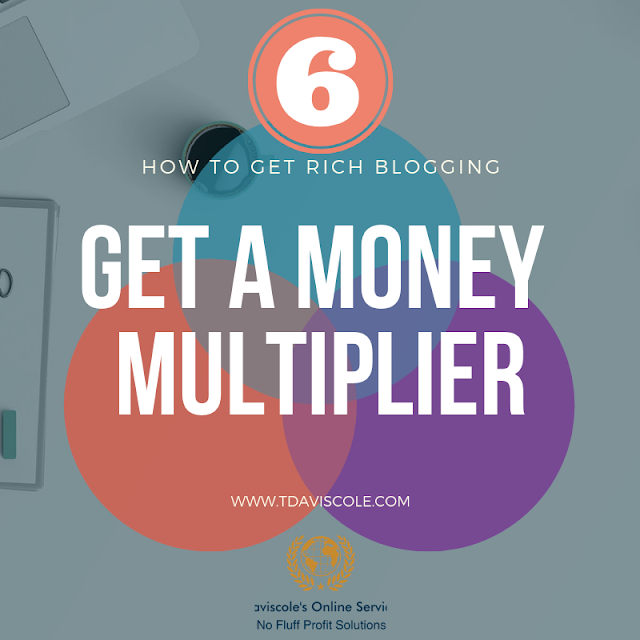 Now we're going to discuss money multipliers and the importance it has on stabilizing your blog profits income. 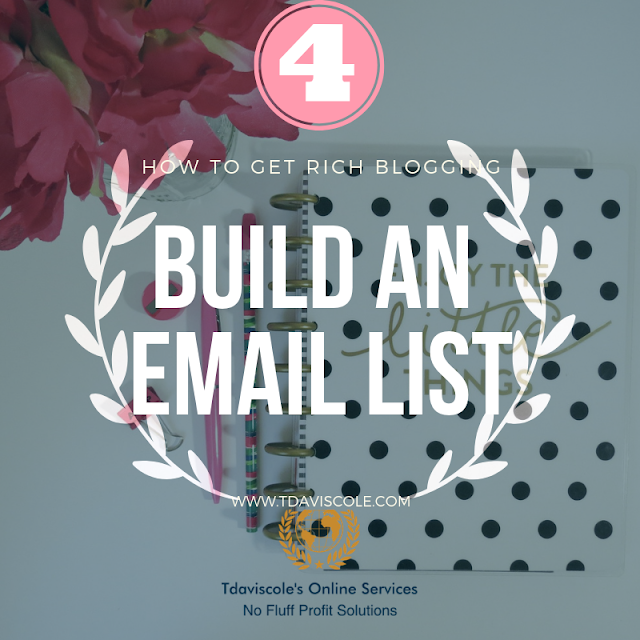 Hello, and welcome back to How To Get Rich Blogging! I'm truly excited that you're here, and we are making great strides too. We've covered clarity, targeting, profits planning, and email marketing. At this point, we'll discuss core product marketing. 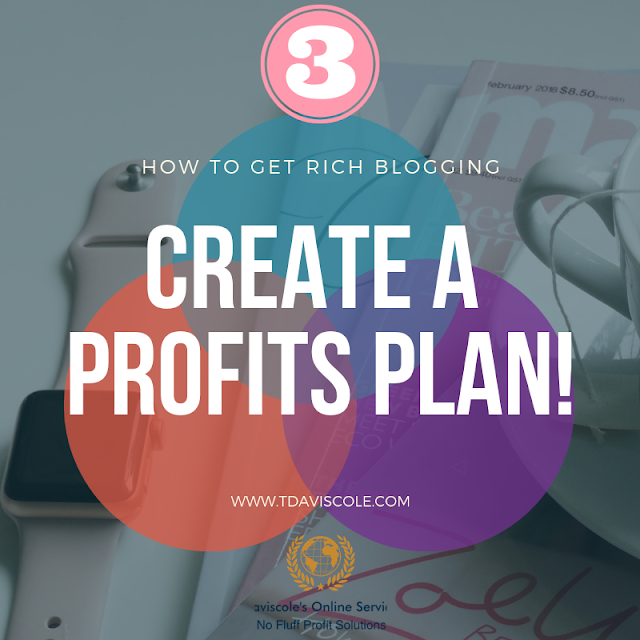 It's no secret that if you want to get rich blogging, you're going to have to sell something. Your lead magnet is what gets people in the door of your sales funnel, but it "aint" gonna make you rich. You'd have to sale thousand upon thousands of your low cost offers to make any decent money. The same goes for affiliate marketing on small commissions items like the Amazon Associates program. I highly recommend it for some extra cash, but it's not going to help you change your lifestyle that much. Hey, and welcome back to the series on how to get rich blogging. Hopefully, you've already read step one and you're ready for the second phase of the process! Therefore, once you have clarity on what you want out of your blog, you've got to discover what other people want from it. A great way to find out is to conduct some research. Discover what is trendy within your area of specialized knowledge. This video should help you with that. Large corporations hire marketing teams that actually study the demographics, psychographics, and social behaviors of their target market. They think about how their prospects and customers respond to the messages around them. 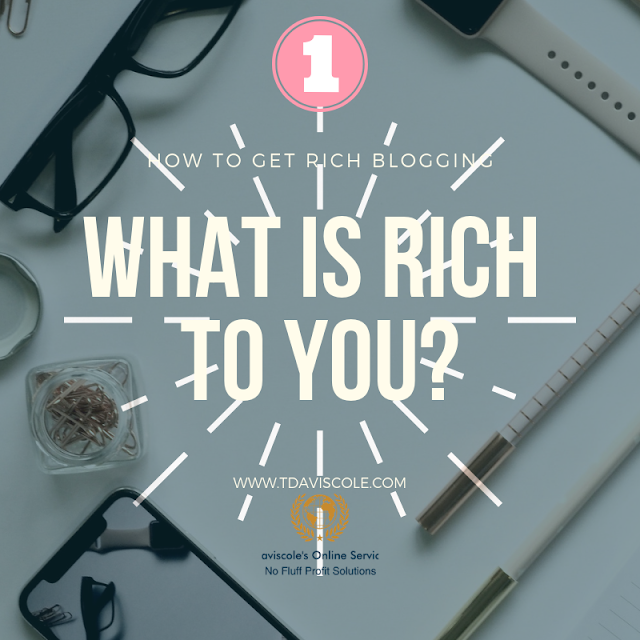 Hello, and welcome to the 12 part series on how to get rich blogging! I'm so excited that you're here, and I truly hope that you'll get a lot out of this process. You take massive action doing the necessary things to get you to your ultimate vision. I remember years ago, I was working in a prison on midnight shift wondering what life would be like beyond the bars. No, I hadn't committed a crime that landed me there, but I had made a life decision to earn a stable paycheck through a career in corrections and that decision had placed me there. Blogging has become a major trend on the internet today. It's a pretty exciting way to share your ideas and interest with the world. 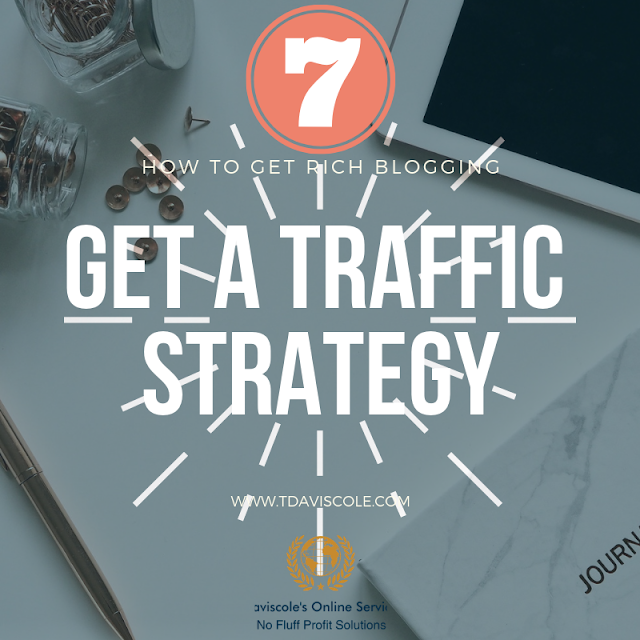 Although blogging can be a lot of fun and an exciting adventure, it can also be time-consuming and overwhelming especially if you aren't making any money from it. I first learned about blogging through a network marketing opportunity. The total focus of the company was to teach people to start a blog and promote the opportunity on it. I learned all sorts of things like search engine optimization, traffic strategies, and the importance of blogging daily. However, what I wished I had known from the very beginning was how to have a blog strategy. 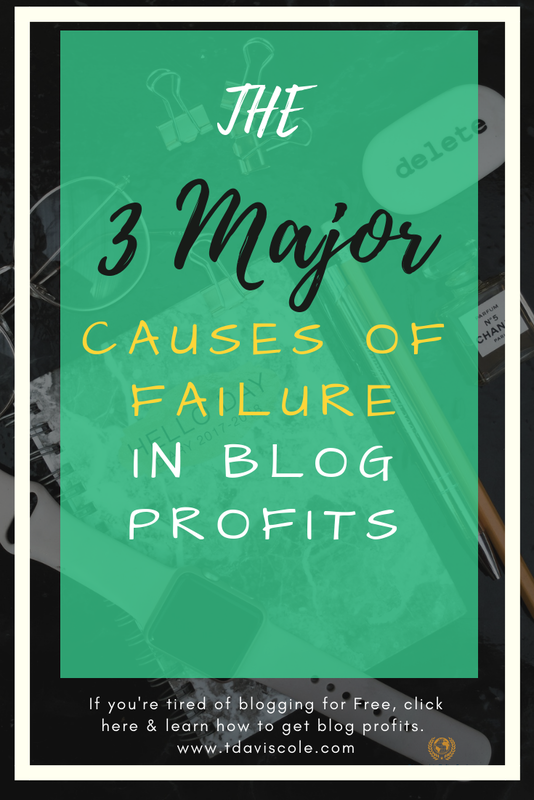 I had no idea how to develop my blog for profits. I honestly thought that I could write a few words, throw in some affiliate links, and make money online.